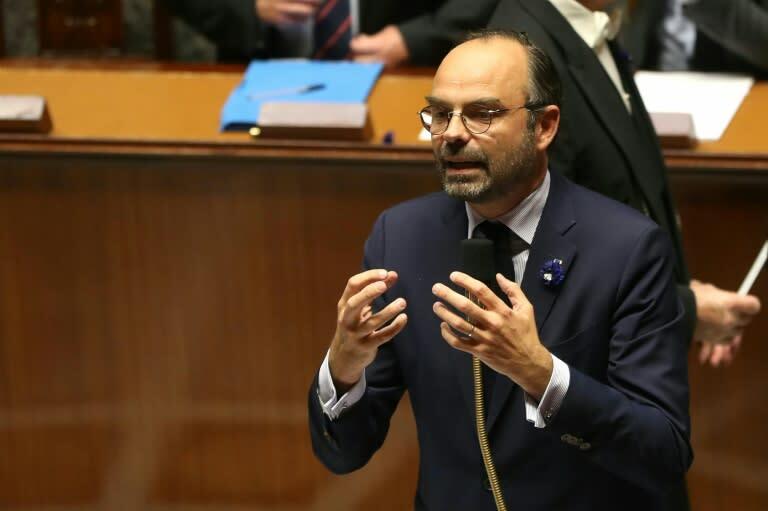 French Prime Minister Edouard Philippe warned that the country was "very far from being done with anti-Semitism"
Anti-Semitic acts in France rose by 69 percent in the first nine months of 2018, Prime Minister Edouard Philippe said on Friday, the 80th anniversary of the infamous "Kristallnacht" of Nazi attacks against Jews. "Every aggression perpetrated against one of our citizens because they are Jewish echoes like the breaking of new crystal," Philippe wrote on Facebook, referring to the start of the Nazi drive to wipe out Jews on November 9, 1938, also known as the Night of Broken Glass. He added that from mid-November a national team would be mobilised to intervene in schools to support teachers facing anti-Semitism.